Enter both your start and end location. This may be a town, postcode or road name. Click the small icon of the walking person that is above the start and end locations. Zoom into the map and check whether the route looks safe to walk. You can also see an advisory walking time that the route will take. Drag the routes blue line if you want to avoid any particular roads. Finally, print the route and get your boots ready! Warning: The Google walking route planner is in a beta state. Google states: "Use caution - This route may be missing sidewalks or pedestrian paths." Don't do as some have in the past and followed the route without using a bit of common sense. If the route tells you to walk along a dangerous stretch of road then use your brain and turn around. At the end of the day this map tool is an automated system that doesn't know every single pavement or walking path. Tips: Use the satellite view and street view where you can see if the walking route has pavements and pedestrian crossings. A few minutes researching your route could make the trip much more enjoyable and safe. The street view tool by Google allows you to see the actual road you will be walking along before you start. As with all routes there may be road obstacles, road-works that will interrupt your route. Conversely, the tool doesn't know all the short cuts of which you could take advantage. Location - Using the TFL site you are able to select the London borough in which you live. You will then be presented with a collection of walking routes that start or end in your chosen borough. Tip: You could also use the sites journey planner, which will tell you how to get to the walking routes starting location using the public transport available. Distance - A useful feature to help you find a suitable route is the distance selector. The routes distance is critical as it will determine how long you need to set aside to complete the route. The distance range options are 0 - 4 miles, 4 to 8 miles and over 8 miles. 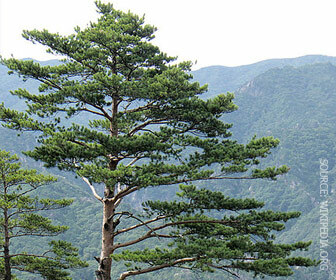 Scenery - In addition to selecting your starting borough and route distance you can also specify the type of scenery that you hope to enjoy along your walking route. The TFL site allows you to search for routes that are within an urban landscape, along a waterside or within parkland. Another great feature provided by this walking route planner is the option to filter routes that show accessibility details. Each travel route can also include a map to help you plan the route. In fact some of the routes are split into larger circuits. This will give you a goal and variety that can be enjoyed over several months. The 'Capital Ring' is one such route that is 78 miles in total and circles the whole of central London, encompassing 15 individual routes. 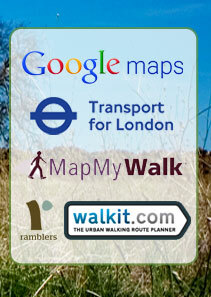 A great walking route planner can be found using the MapMyWalk website. The idea behind this site is that users will register and then create their own walking, running, hiking and cycling routes that other users can then follow. The site allows fitness or walking enthusiasts to track each route they complete while detailing new routes to the larger community. Each route can be rated and you can become a guru by completing the route at least twice. You can also become the leader of a particular route by posting the fastest time. While providing a map interface that acts as your journey planner the site also posts the route distance and topography. This data tells you how the elevation changes along the walking route. Users can also post notes while the site collates the most popular routes. The site allows you to search an area for routes. If there are no routes listed then why not add your own route! Google Earth - If you download the Google Earth plugin for your browser then the site will also show you a video of the route using the Google Earth plugin. This is a useful feature to help familiarise yourself with the route while highlighting any significant changes in elevation. Distance: Given in miles, kilometres and steps. Duration: The time to complete the walk whether walking at a slow, medium or fast pace. Calories: The number of calories you can expect to burn when walking the route slowly, at a medium pace or quickly. CO2 Saved: An interesting statistic showing how much carbon dioxide you have saved compared to the same journey by car, train or bus. A to B - Firstly, enter the city in which you plan to walk. Next, enter the starting and ending locations. The site will then plot out a good walking route between those two points. Circular - Again, enter the city you will be walking around. Now enter your start location, the duration of your walk and your walking speed. The site will then plot a route that starts and finishes in the same place aiming to plot a circular route. 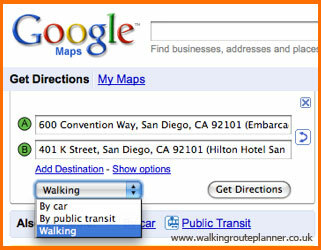 The is perfect for planning new walks from where you live or a location you can initially drive to and leave your car. Plot - An easy to use tool when you can click on a map to create a new route. The site will then give you a summary of your walking route including the distance, time, calories and CO2 saved. Nearby - A tool that helps give you route ideas from a given location in a major city. A well know walking charity is the Ramblers. The Ramblers aim to preserve the countryside, footpaths and other areas where we walk. The charity has 119,000 members and looks to encourage more people to take up walking within the UK. The Ramblers website is a great source or local walking routes that can be found regionally across the country.